Chinook Salmon on the Skeena river. 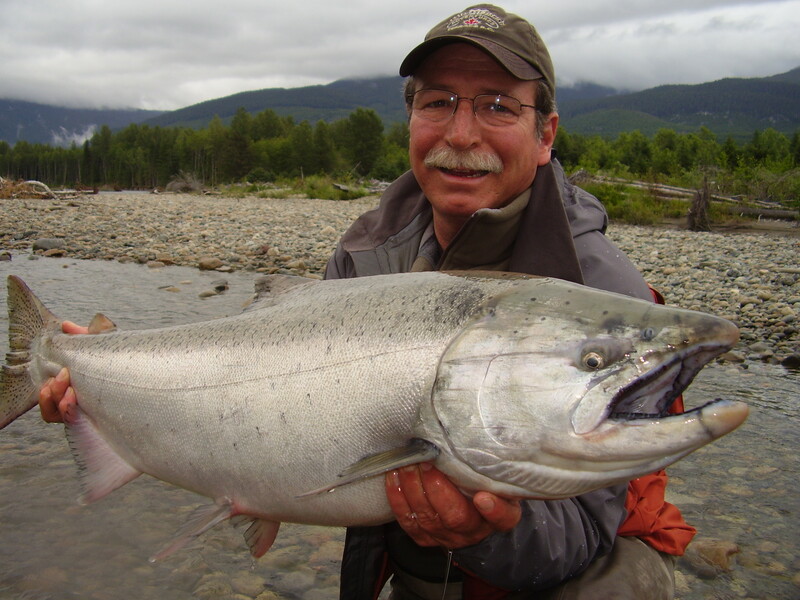 Chinook salmon fishing on the Skeena river through June, July, August is second to none the Kenai river in Alaska has all but dried up the last few years and the crowding is to much for most people to call a wilderness experience. 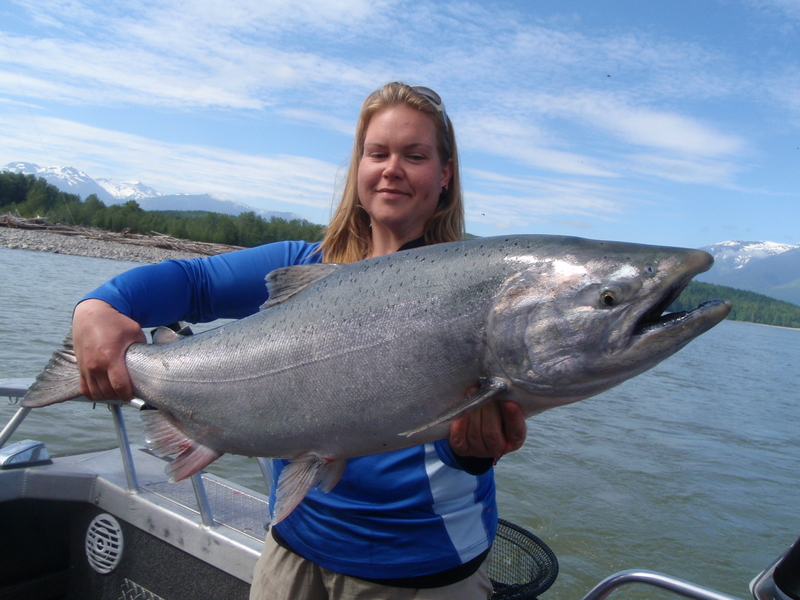 Look to the Skeena the second largest river in BC to the mighty Fraser river the Skeena boasts Mountain scenery along its remote banks this 600KM river it is not hard to spread out giving our guests the ultimate experience. Hello all We have been very busy with guiding this last week now I have a day off and guess what I am doing ? Going Fishing from Lakes to rivers Terrace BC has more water to offer than any other place on the planet. 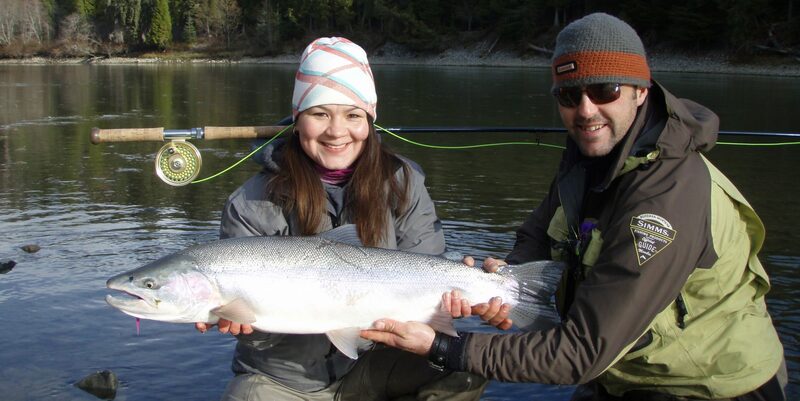 Fresh Steelhead, Sockeye, Chinook Salmon, are running hard now and the water is in great shape, we still have a few open spots in August if you or anyone you know would like to book a last minute trip give us a shout. 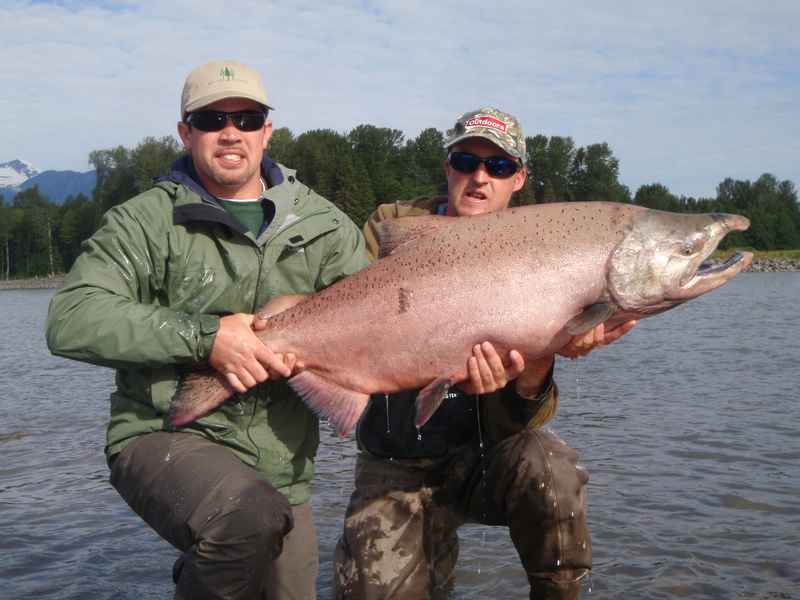 The Skeena is producing some great fish there are good numbers moving through this day we hooked so many we lost count. I had a great time with the Jaffers family we look forward to seeing you all again very soon. I spent 8 days in Terrace this summer fishing from shore. Caught many Salmon. This info. would help me out. If I don’t pick one up, maybe we could use you next summer to take us out . My boat is 27 foot inboard with a Hamilton 212 jet this is a very expensive boat at a replacement price of 100,000 your best bet is to look for a 18 foot welded boat with a 40 horse jet if your needing to run 4 persons you will need an 80 horse at the jet to not be under powered. This may run you around 25,000 to 35,000 thats a few guided fishing trips. Happy shopping.